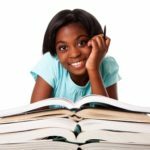 How can you optimize your reading speed to achieve success? What kind of freedom and confidence can speed reading deliver? When I asked these questions, a solution appeared in the form of a Rev It Up Reading course and an entertaining 60-second video to explain the course. Video Answers the Question WHY. Take a look here. My experience: I’ve been diving into this program and it’s already helped me “skim” through a nonfiction book I needed to read for a deadline. Yes, it takes practice (and I need plenty more of it), but I’m encouraged by how much faster I’ve been reading with the comprehension I need. It’s graduation time for someone you care about! You can purchase a practical gift for high school and college students/graduates to increase their success at this special time. Rev It Up Reading is offering gift certificates at only $99. PLUS anyone who purchases a gift certificate for someone else receives a $100 discount off the retail price. Here’s the link to all the details: Purchase a 90-Day Access to the online speed reading course. Rev It Up Reading is an online course created by America’s #1 Speed Reading Expert, Abby Marks Beale, to help people become the best readers they can be. Go here for complete details.